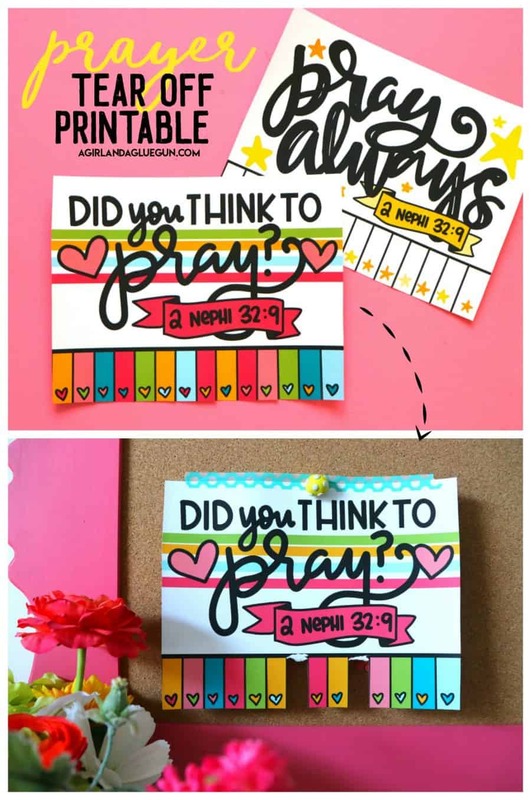 This cute idea actually came from a girl in Church class!– An adorable printable to remind you to say your prayers–Prayer tear off printable! It has 14 tear off little tabs–so two weeks work! 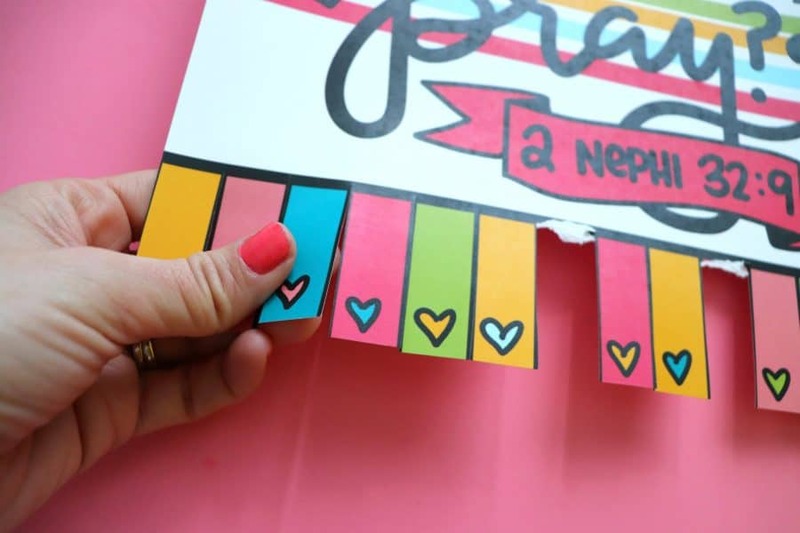 Add a little washi tape and hang right by your bed as a reminder to say your prayers! After you print them out-take your scissors and cut them apart! 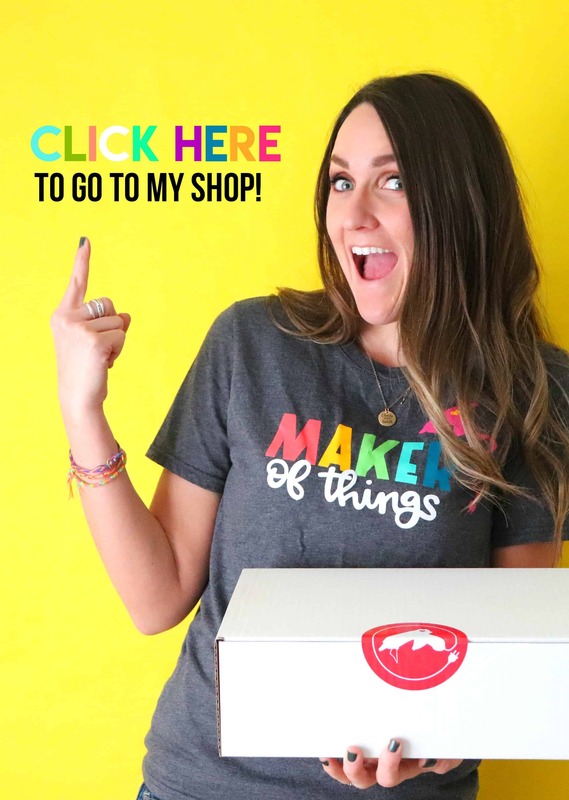 I add a couple different options–also just black and white in case you need to print off a bunch and you don’t want to waste all your ink! 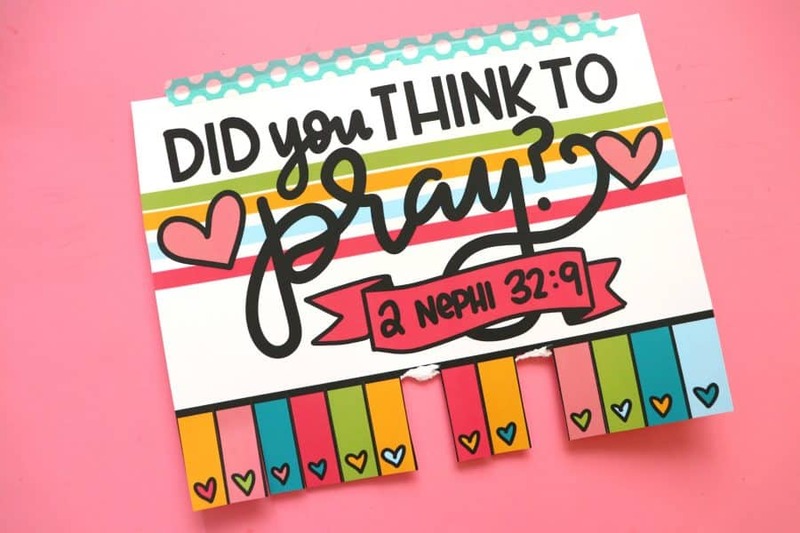 I included a scripture but there is one printable that doesn’t have it on there in case you aren’t a member of my church- The church of Jesus Christ of Latter Day Saints (and if you are wanting to learn a little more about what I believe–you can request a free Book of Mormon! 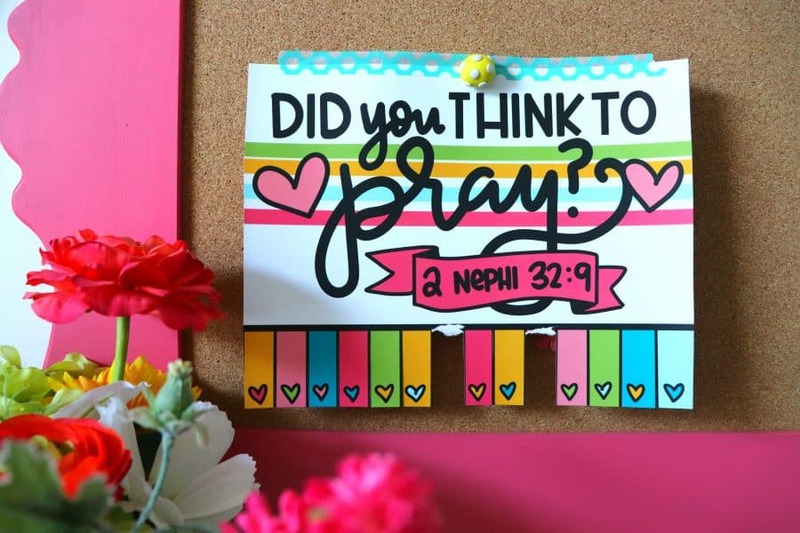 And if you are looking for more fun church printables Make sure to check out my fun The gift of the Holy Ghost talk idea and the Book of Mormon stencils!